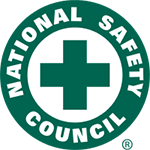 This National Safety Council courses provide the know-how and practical techniques to avoid collisions and prevent vehicular accidents. The courses cover he importance of the driver's attitude in preventing collisions, good driving skills everyone should know, and choosing safe, responsible, and lawful driving behaviors. You will receive a National Safety Council certificate upon successful course completion. Your tuition includes $17 text and certificate fee. To receive your certificate, you are required to arrive on time to your class. We reserve the right to deny entrance to any student who arrives late for the course; your tuition will be forfeited. All courses are being held on the Montgomery County Community College's Blue Bell Campus. This 4-hour interactive driver awareness and improvement class is aimed at young drivers aged 15-24. Through media segments, workshop exercises, class discussions and role players, young drivers will practice strategies that will keep them safe on the road. Participants are encouraged to join in non-threatening, non-judgmental discussions exploring how changing driving behavior makes personal, legal and financial sense.